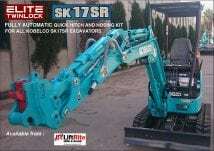 Until now it has been difficult to source hydraulic quick hitches for smaller machines. 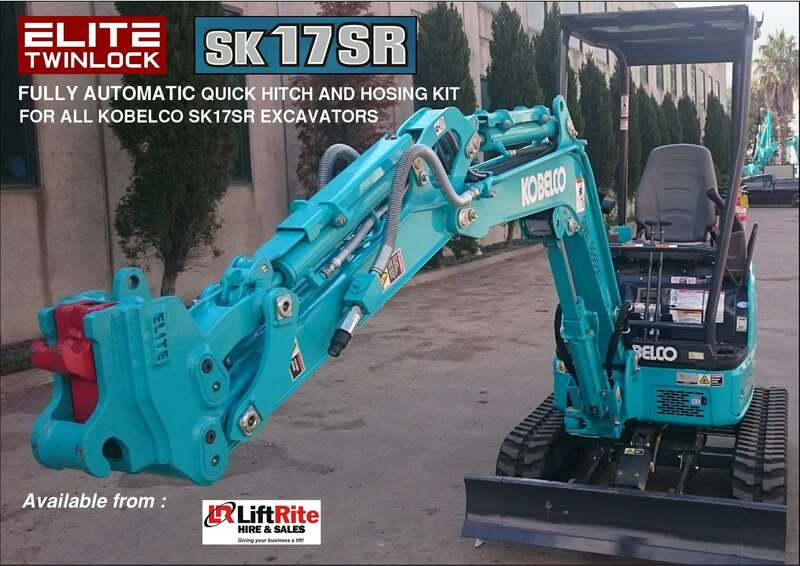 Introducing the Elite Twinlock hitch and hose kit to suit the Kobelco SK17SR. Meeting Australian Standards and taking the hard work out of mounting your buckets, these units are available now!